Solomon’s Keep offers a free, simple and addicting action RPG experience for your iOS device. The game has simplistic gameplay with a nice balance of depth and strategy for people needing more of a challenge. 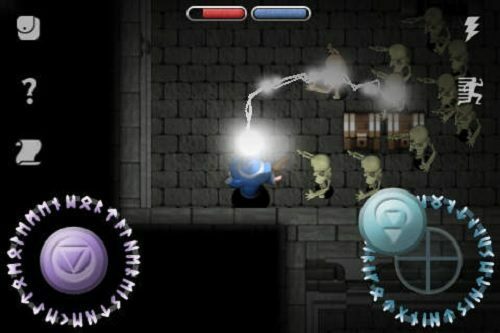 The game was released by Rapidsoft in April 2010 with a hit sequel to the game (Solomon’s Graveyard) being released later in the year which is essentially an endless mode of the original. Solomon’s Keep has players take control of a newly graduated wizard as they attempt to pass their final exam. The final exam just so happens to be attacking Solomon’s Keep, which is home to the dark wizard necromancer (Solomon). Players will control movement with one thumb while they use the other to blast various spells at their enemies. As you venture through the keep you will encounter a variety of enemies and even bosses while collecting loot and levelling up a number of skills (over 20 different skills to use). Best of all the game uses a number of random aspects from dungeon layout and monster spawns to skill availability and loot drops meaning each game is a completely different experience. 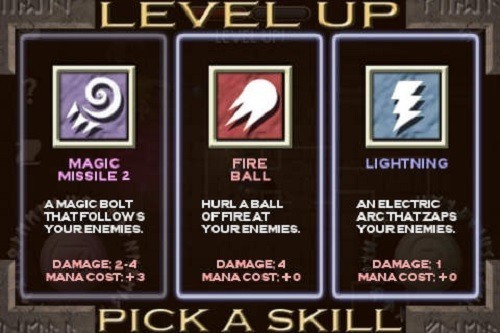 Solomon’s Keep also offers a number of challenges for you to attempt after you finish the core game to really push your skills to the limit that will definitely have you keeping this game installed for several playthroughs. Overall Solomon’s Keep is a fun game experience that makes up for its limited content with plenty of randomisation that will have you playing this game for both short and long game sessions. With its free price tag, addictive gameplay and randomisation action role playing fans definitely need to have this game on their iOS device. One of the best action RPG games for your handheld device. Great skill and loot systems. Harder game modes available for those who want a challenge. Plans for a PC/Mac release in the future.